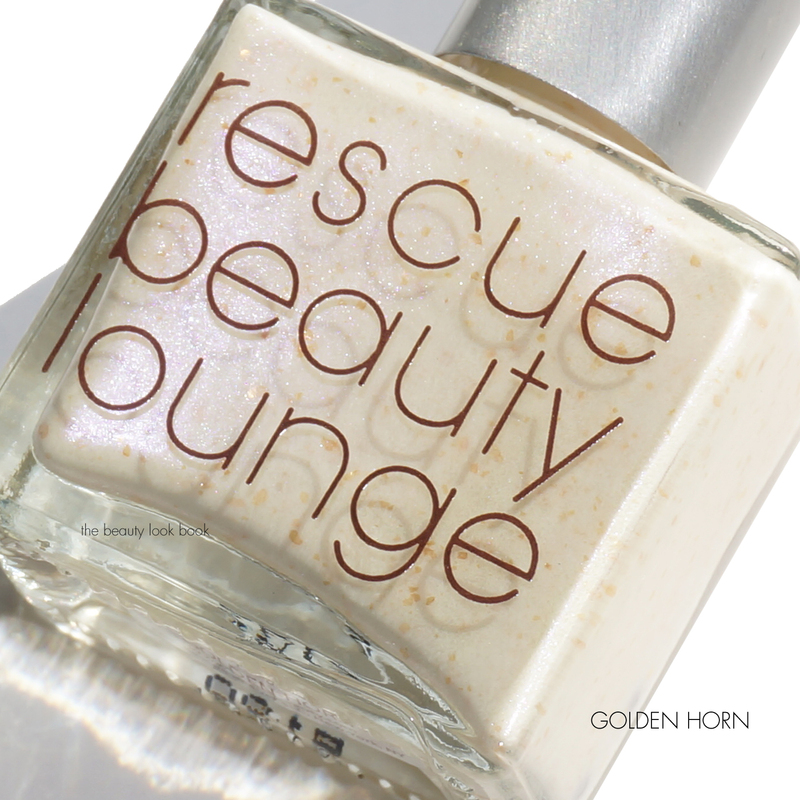 I’m thrilled to share swatches of the latest collection from Rescue Beauty Lounge called The Fan Collection 3.0. 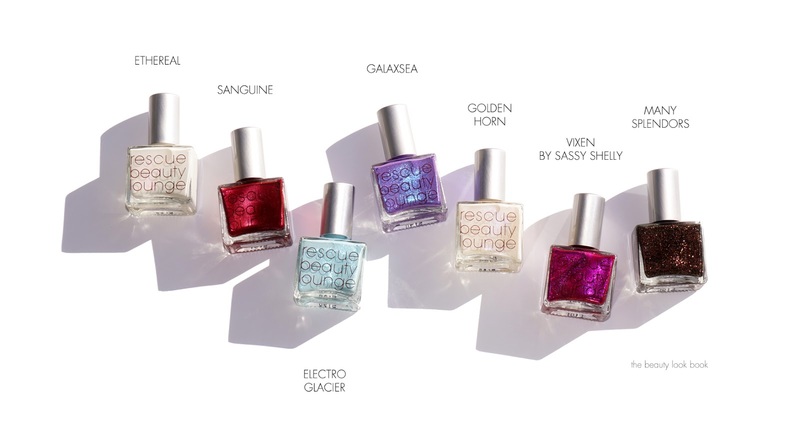 This is a launch includes seven new nail polish colors inspired by fans of the Rescue Beauty Lounge line. 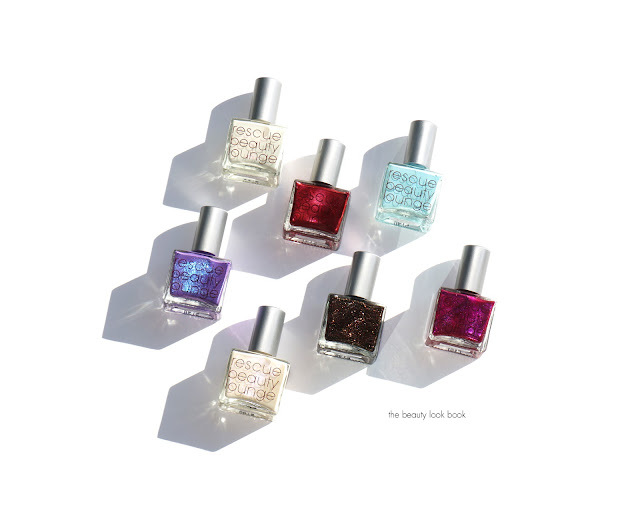 Ji has mixed up seven dream nail colors and as always, they are absolutely stunning colors. In a world full of hundreds of nail polish colors, Ji never ceases to impress me – each time I open a box, I’m in total awe of her. She is a genius mix master. 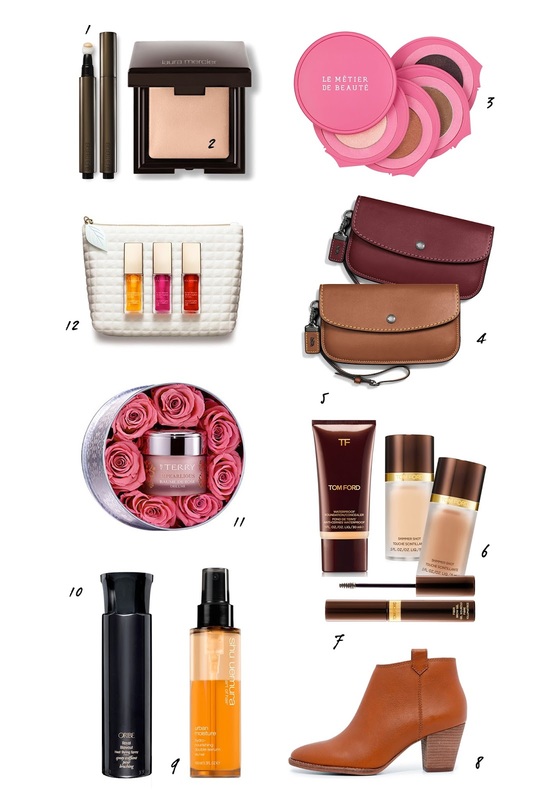 There are seven new shades. 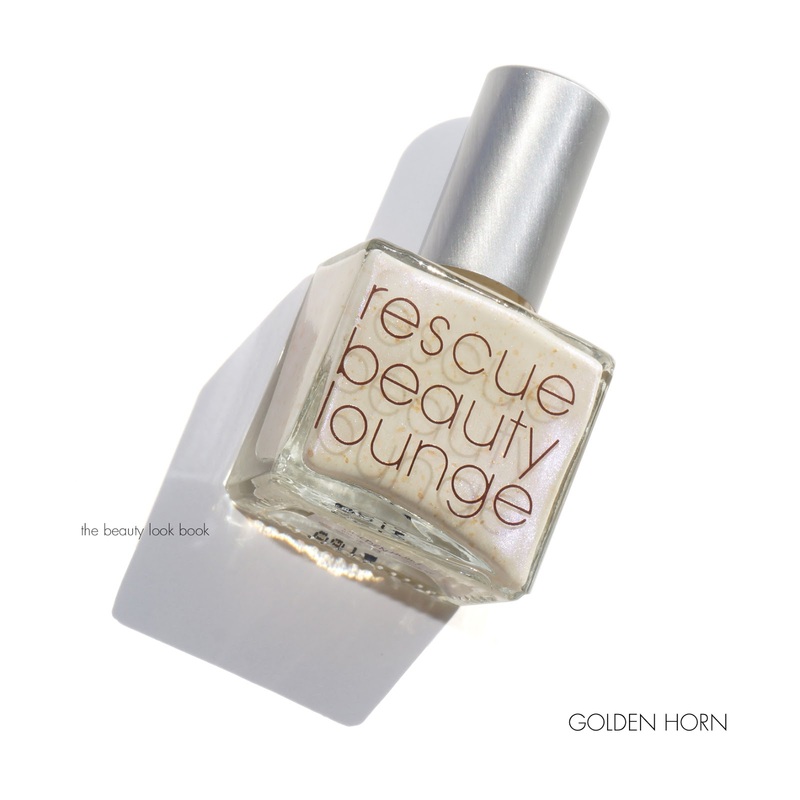 These will be available for pre-sale starting October 13th for 48 hours so be sure you’re signed up for her newsletter via www.rescuebeauty.com to receive the link to shop. It will be available for sale to everyone else shortly after. 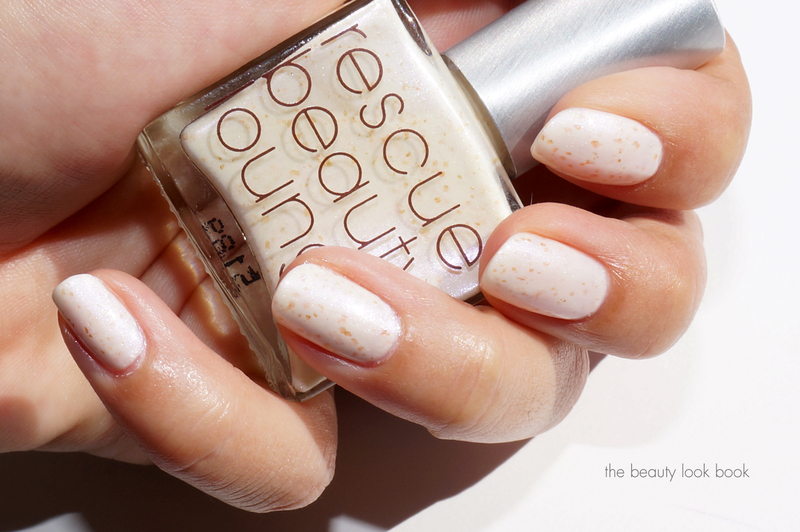 Ethereal is a gorgeous pearly seashell ivory shimmer. It has a lovely glow to it. 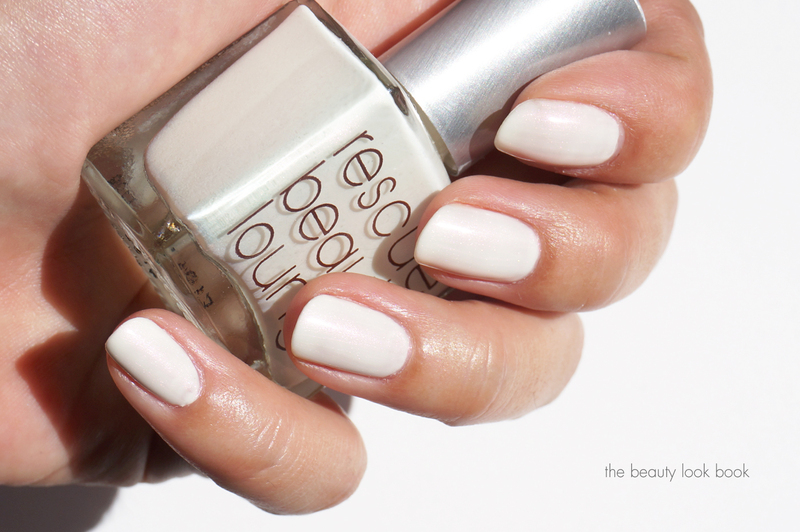 It’s semi-sheer but you can layer it for full coverage, I have it shown with three coats. The inspiration, “It is reflected in a fleeting sunrise, the lining of a seashell, the bubbles of pink champagne in a gold-rimmed flute, the shimmering silk of a sari, the glow of a candle through a gossamer white curtain. Ethereal is elegant and infinitely wearable, but has the merest hint of flash. It’s a versatile polish that can be worn by anyone, for any occasion.” —Nancy’s Fantasy. 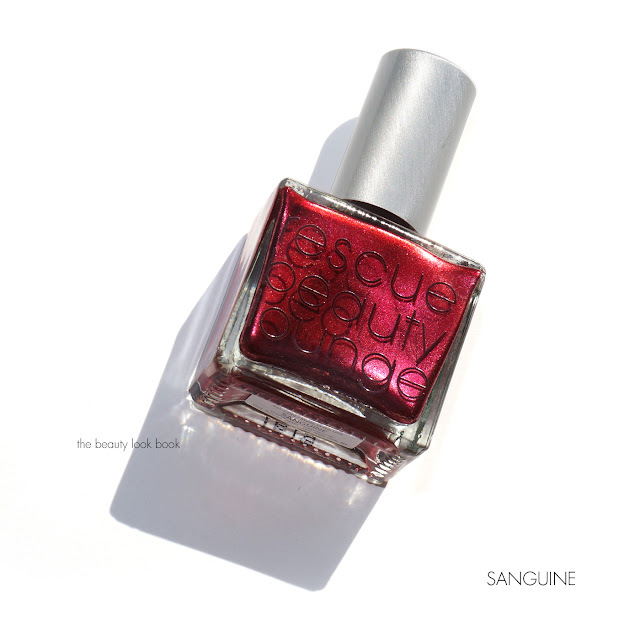 Sanguine is a deep rich burgundy wine red shimmer. 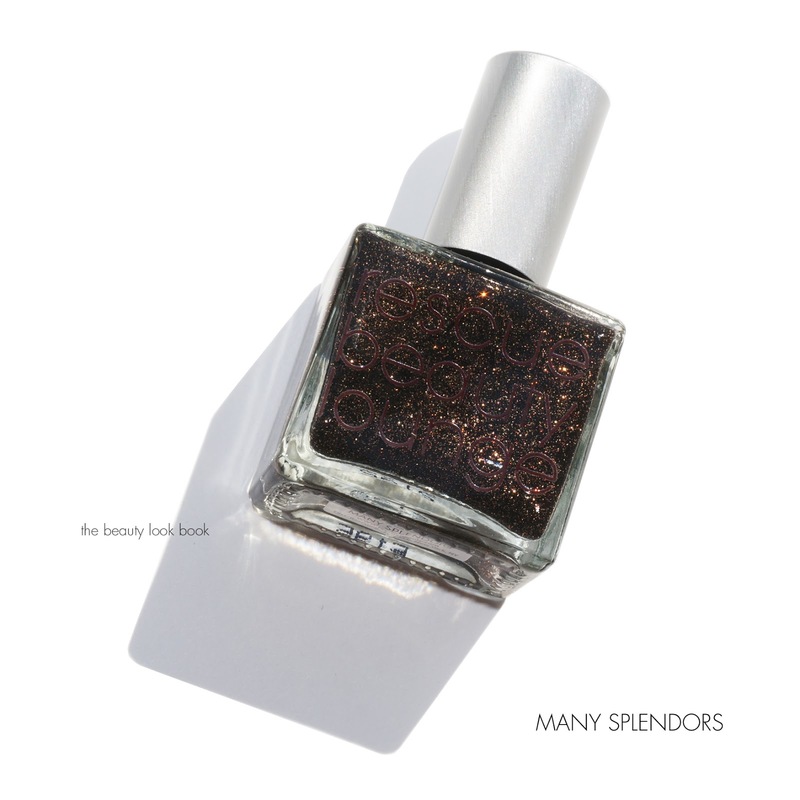 It’s packed with loads of sparkles but applies very smoothly on the nail with a glossy finish. The inspiration, “The color I crave is a juicy jelly a la Starfish Patrick with a bright, burgundy base. It is luminous, like Poco a Poco, illuminated by the soft, peached pink glow and subtle flashes of orange. The color is vibrant, bold, and spirited. At once bright and sparkling, mysterious and dark.” – Lygie’s craving. 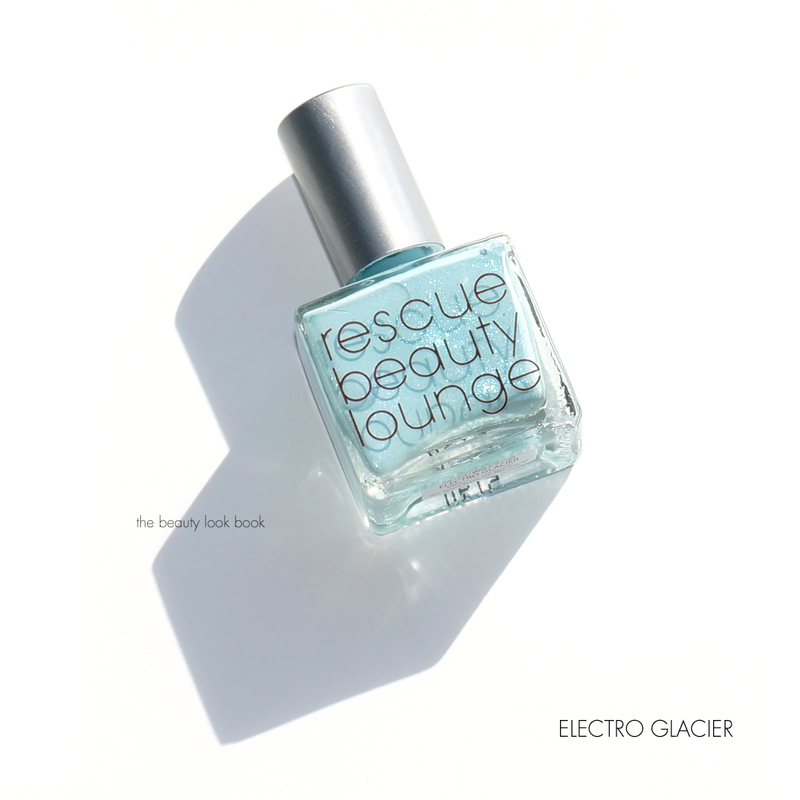 Electro Glacier is a baby blue with electric sparkles. 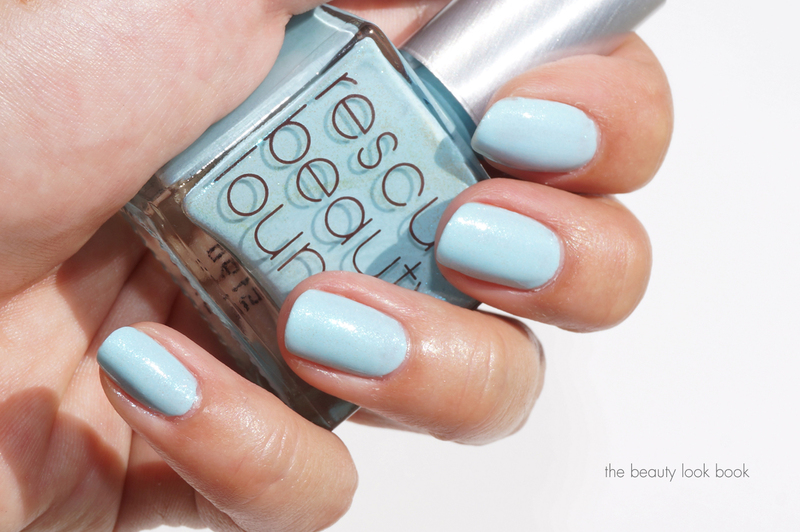 This one took Ji a lot of mixing to get the right mix of bright, light and blue undertone to get the perfect color. 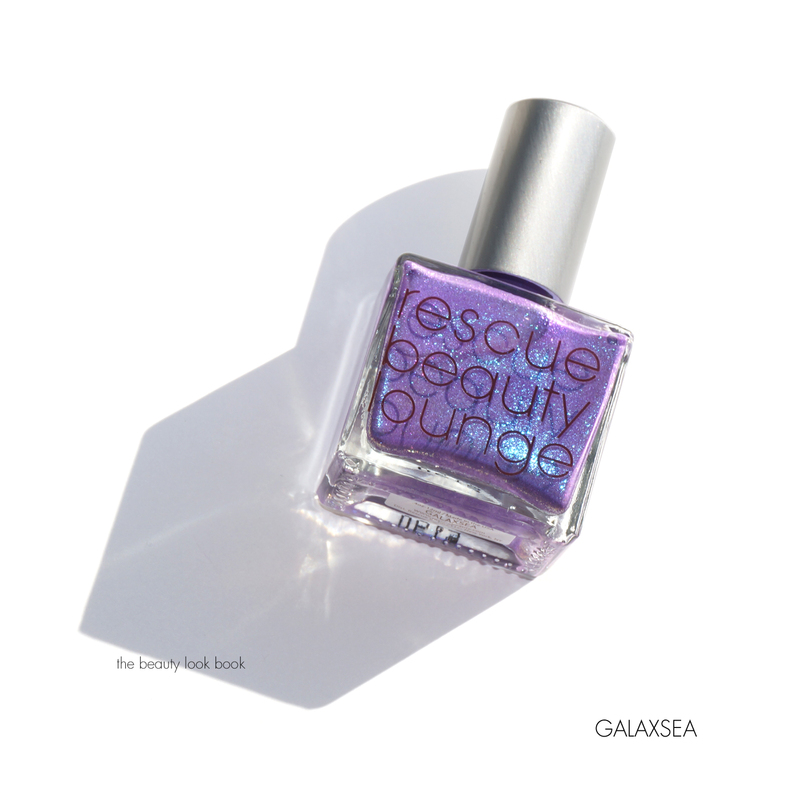 Galaxsea is a stunning complex iridescent purple with blue, silver, magenta, and purple sparkles inside. 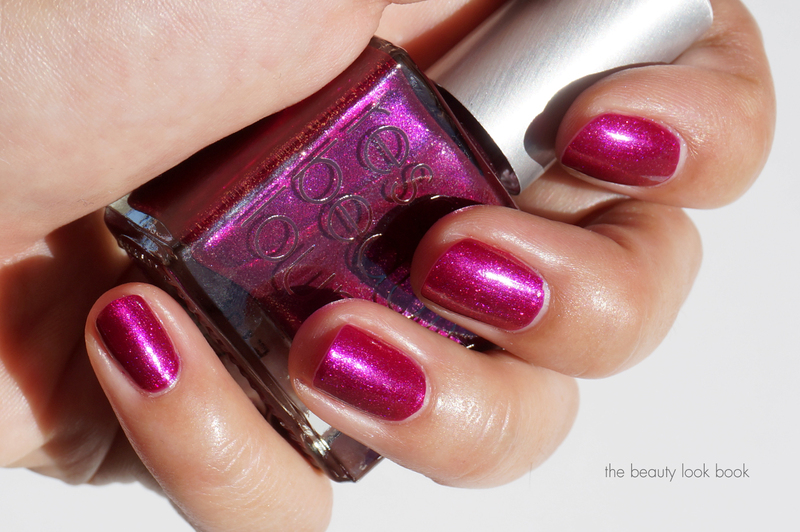 It’s almost duo-chrome with the way it’s complex, but it’s a very smooth sparkle. This one brightens up my mood, it’s such a fun color to wear. It’s almost like a glitter polish but very smooth and the base makes it easy to remove. Golden Horn is possibly my favorite out of the collection. It’s a gorgeous iridescent soft shimmering white that isn’t too white with suspended gold flecks. It’s an off white shade in color but not a pure white so it’s wearable on my hands (while true whites always look like white-out). There is a beautiful soft shimmer in the base which makes it glow. I had to add a closeup of the bottle – the gold is really subtle from a distance but up close you can see how gorgeous it is. The inspiration, “This is a beautiful place in Istanbul where the Bosphorus makes an inlet. The idea is to have an off-white base (nothing too strong) with gold particles in it, similar to Naked Without Polish (which had a pink base). I love Naked Without Polish and I believe this can be a unique addition to your line. The particles should show through, so probably the base will not be 100% opaque. I love white and gold, I think it can be worn all year round, it is classy and chic.” – Sara’s Marvel…. 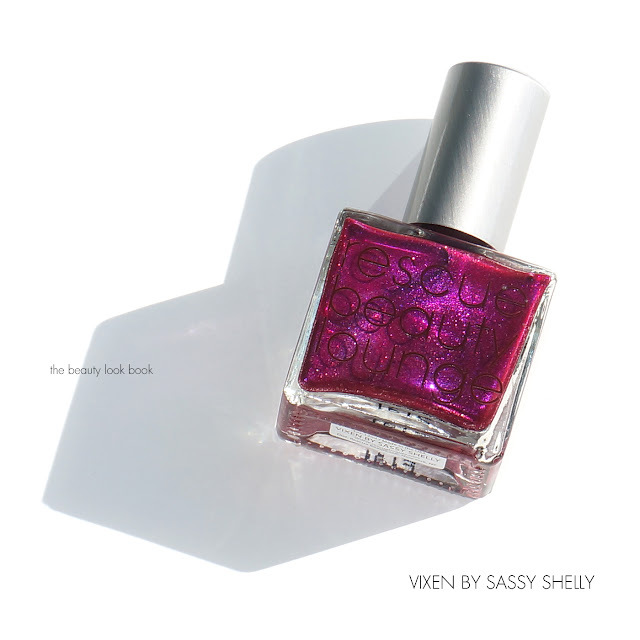 Vixen by Sassy Shelly is such a surprise. 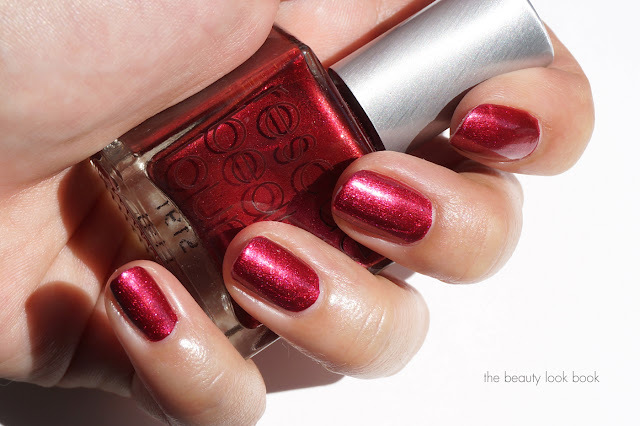 It’s a medium-deep gorgeous berry magenta in the bottle but the shimmers are so bright the mix creates a unique bright but deep color on the nails. There are so many beautiful colors in the shimmer it’s a really complex color. 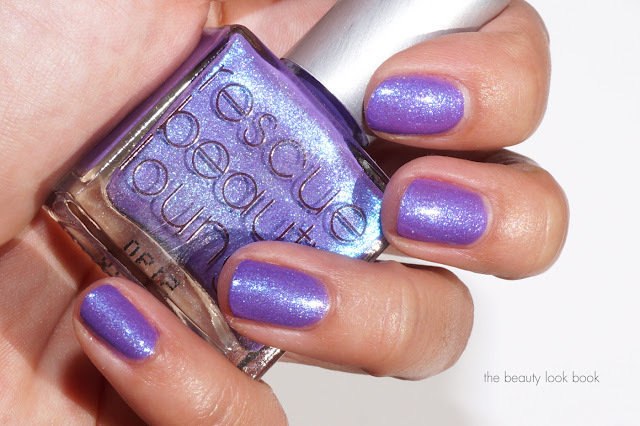 Of course as always, I love RBL shimmers because even the complex ones apply smoothly on the fingers. Last but not least, Many Splendors is the most unique color in the collection. It’s a deep black and gold glitter that dries to a matte texture. Ji calls this lava-like and I completely agree. I love the look of this with a glossy top coat added, but I’ve swatched it here as is alone with 2 coats. Being a glitter matte, it is challenging to remove, so I recommend using a base coat to create a barrier for your nails. These polishes will retail at $20 each. Pre-orders will start on October 13th for 48 hours. Be sure to sign up for the Rescue Beauty Lounge newsletter on their website to receive the pre-sale link. Also follow RBL on Facebook and Instagram to stay up to date with the latest from them. 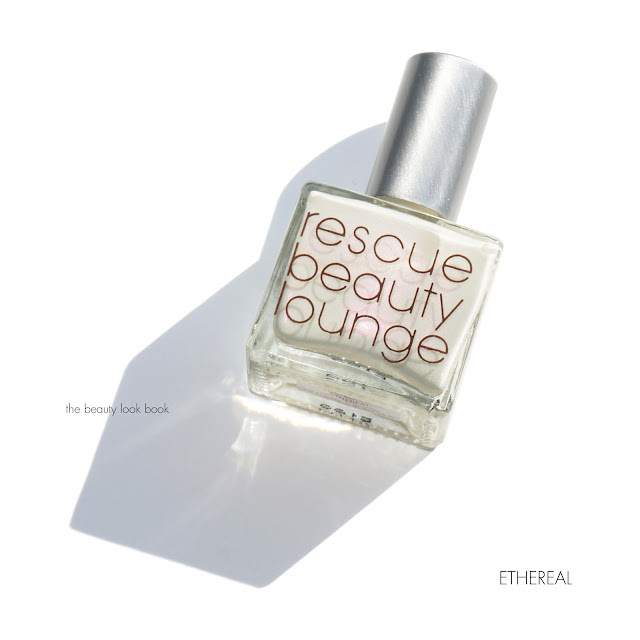 Many thanks to Rescue Beauty Lounge for sending me samples for a preview.